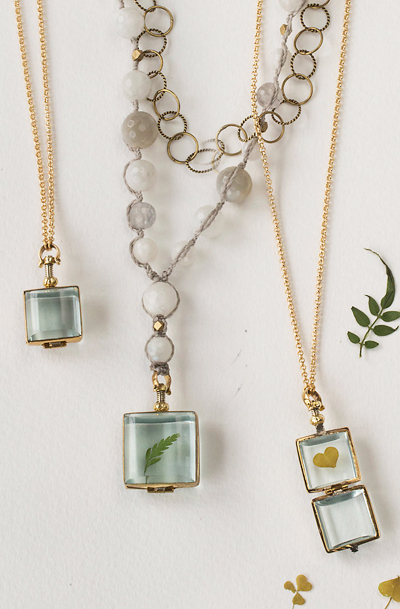 The perfect place for a tiny keepsake or botanical sprig, this glass locket hangs from a golden chain. Each one is designed and hand-crafted by Ria B. - Locket opens at top; spin ball above frame upward to open.